This view from NASA's Mars Exploration Rover Opportunity shows an area where a pale-toned geological unit called the "Burns Foundation," in the foreground, abuts a different geological unit. 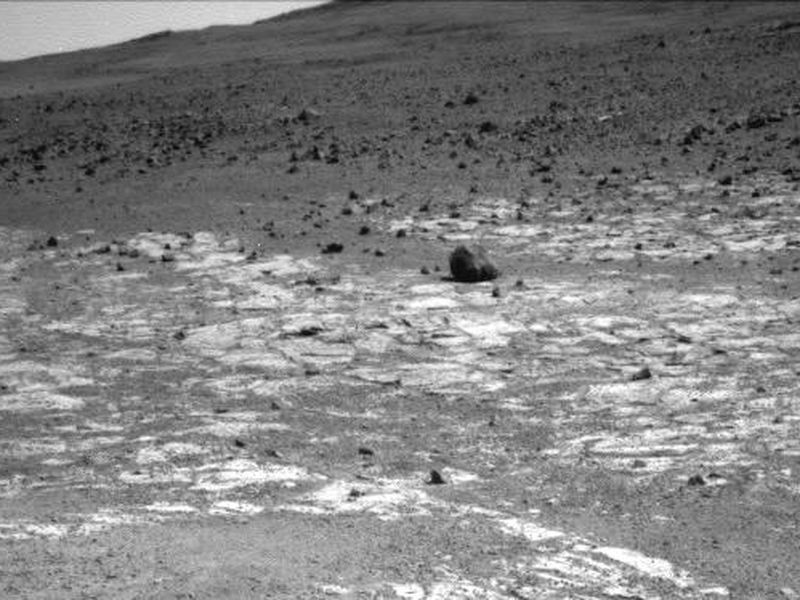 The darker unit, believed to be older, marks the edge of "Solander Point," a raised segment of the western rim of Endeavour Crater. The rover team intends to study this geological contact area with Opportunity before driving the rover up onto Solander Point to examine rocks there. The point's north-facing slope offers an advantage for power output from rover's solar panels during the upcoming southern hemisphere winter. 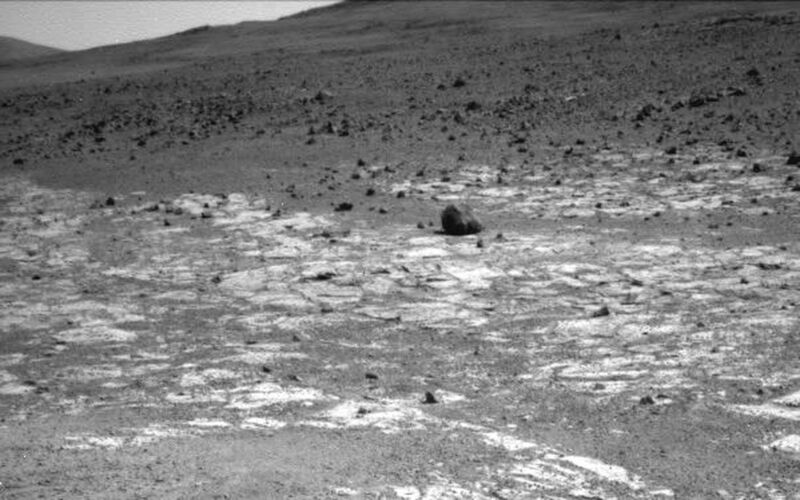 Opportunity used the navigation camera (Navcam) on its mast to capture this southward facing scene along the eastern flank of Solander Point during the 3,387 Martian day, or sol, of the rover's work on Mars (Aug. 3, 2013). The rock at the far right-hand side of the scene, informally named "Tick Bush," is about 1 foot (30 centimeters) across. In the week after this image was taken, Opportunity used tools on the rover's robotic arm to examine textures and composition of Tick Bush. 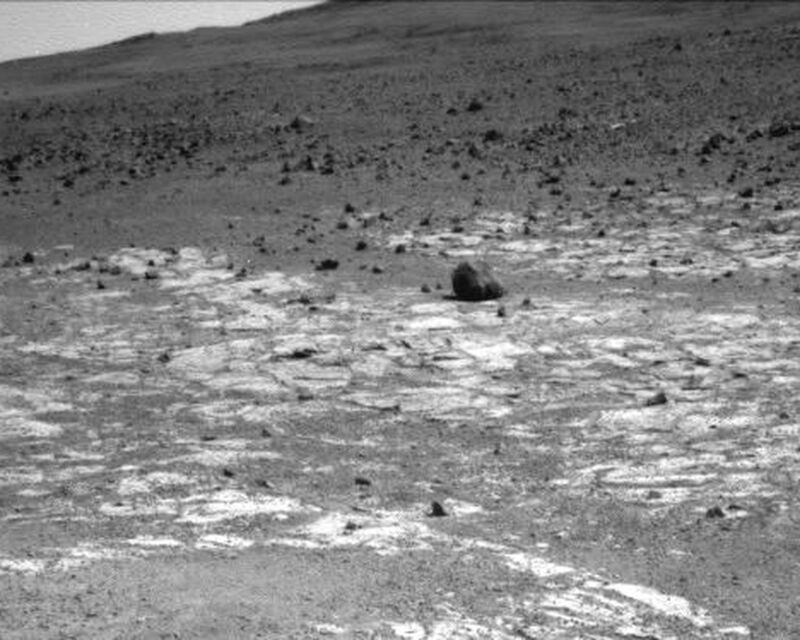 The larger rock near the center of the image is informally named "Cheese Tree."